The Government has been criticised for financing builders and developers to build on State lands that will be provided by the Land Development Agency (LDA). Around €1.25bn will be pumped into the new entity over the next 20 years with the aim of building 150,000 homes. The LDA will strike joint-venture agreements with private companies to build on public sites. Under the agreements, at least 40pc of the developments will be allocated for social and affordable housing. Developers and builders involved will also be allowed to access finance through the State's low-interest lender Housing Building Finance Ireland (HBFI). Labour Party leader Brendan Howlin said the Government had gone too far in encouraging developers to build. "It's as if we haven't gone through an economic disaster led by developer failure," he told the Sunday Independent. "This is the State basically bankrolling developers again, when it should be bankrolling itself to solve the problem." 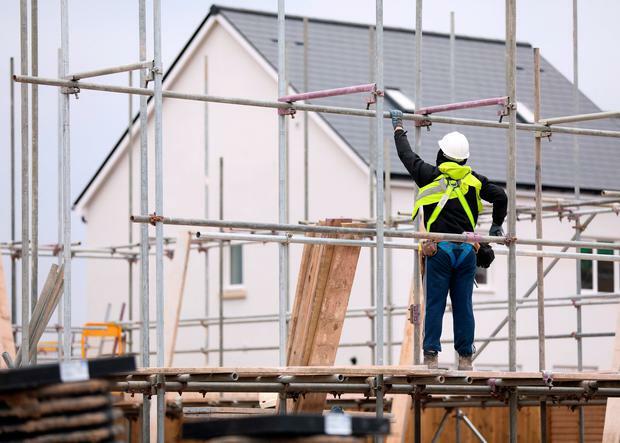 The director general of the Construction Industry Federation, Tom Parlon, said both the LDA and HBFI were needed to address the housing supply problem.